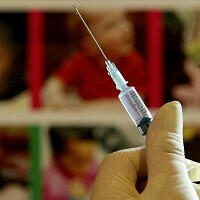 A second case of measles has been reported from the US city of Milwaukee. According to Milwaukee Health Department officials, the second confirmed case involves an adult who came into contact with the first case of infection, which was reported more than a week ago from a family of recent immigrants. Experts believe that there could be a few more highly suspect cases. British holidaymakers who are planning to fly to Milwaukee may now want to grab a comprehensive medical travel insurance deal before their trip. Measles symptoms include bloodshot eyes, cough, fever, sensitivity to light, muscle pain, rash, sore throat and white spots inside the mouth. They start showing up eight to 12 days from when the the virus enters the body.